Have you got a link for this please? I have both the SoundLink Mini and SoundLink III. the mini easily holds it's own against it's bigger brother and makes it excellent value! Heat, great speaker great price. Been watching this &amp; it's been this price for ages. Hoping it might drop for easter. Why? Sure were all part of the "UNITED KINGDOM" sometimes! Do you mean that you stream to one Dot and that can send to all Jongo's without having to use the Pure app at all? Or did you still have to set up caskeid in the Pure app? haha fair enough - you started the bus thing :) But yes jokes aside, its as decent as a 2W would be - good for small rooms, personal use - wont bring the house down. Jokes aside, I do like and appreciate quality speakers. I also don’t take the bus anymore. Mostly because of annoying toerags playing loud music through phone speakers. This has been coming several times over from SSAV. I bought one of theirs a while back for the same price and it's perfect. This is the older model. 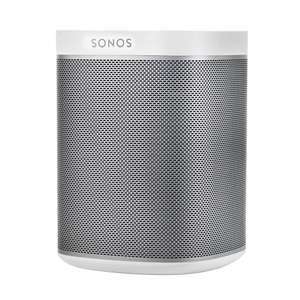 The "Sonos One" came after this, and now there's a "Sonos One (Gen 2)" as well. It’s not, this is for the powered and illimuniated version. Some of the reviews are a bit iffy. The fact it needs its own power supply is a big disadvantage imho. Never miss a 'Portable Wireless Speaker' deal again! I guess this is the same at T2. Flying from there this week so I'll take a look. I don’t believe that the Bluetooth functionality works for streaming music on the new model. True. I thought we had 1 more day. 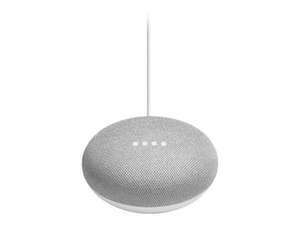 Personally I'd get a Google home max and save 130 quid, gain assistant, gain Bluetooth. Brought the same about 3 years ago for the same price from argos. Ok for camping trips, etc but your not going to want to listen to music in the house with it. Argos are very good taking returns. This should be covered under warranty. Did you get your money back? Crap quality. 2 days after I purchased I realised it needs to be constantly connected to charger as battery wouldn't even last few minutes on it's own. Then USB port got detached and went in. What a surprise, no stock Edinburgh, Glasgow, Stirling....gave up after that. I think it's currently the cheapest price you can find. This or the mega boom? 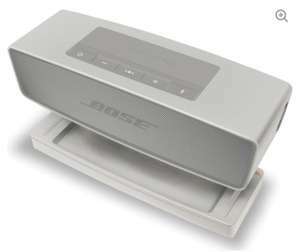 Bose is better no doubt. But this is half the price. Don’t buy this if you have a Note 9. Literally won’t setup and you can’t connect permanently via Bluetooth only without using the app. I still love it as use it in the bathroom. One mic means sometimes have to shout. It’s also a pain to get it setup when taking places. However once done it’s nice to use Spotify and Alexa on the go without Bluetooth. Ultimate Ears MEGABOOM Bluetooth/Wireless Speaker Blue/Orange https://www.amazon.co.uk/dp/B07CZ1J9VR? Red-White https://www.amazon.co.uk/dp/B07CZ1J9VQ? I got one of these about a week ago but am returning it already. It's completely acceptable for what it is and at a price of about £70 I'd say it's reasonable and most people would love the sound it has/quality etc. It doesn't have any real actual pounding bass/sub bass and lacks clarity all over besides the very clear vocals it has with no real separation of sound. Everything kind of blurs together and sounds muddy. A good alternative at the exact same price usually of £89 is the JBL Charge 3 which I think is better for the price. Beyond these there isn't much better unless you're spending like £150-£400 odd. I replaced my Megaboom with a Denon Envaya 250 which is a lot more like an indoor HiFi sound than these boomy outdoor party speakers. Had this one for few years now...honestly, at max volume it is losing lot of the bass, the bass on some electonic music is distorted since it is too heavy. Looks like the speaker cannot reproduce it properly or it is just too much. The battery is getting worse and worse. It is very loud though. Good for this price point. 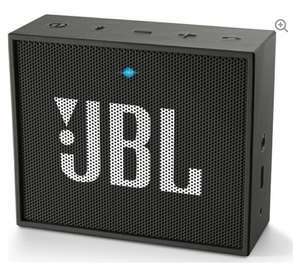 I would like to try some of the similar JBL xtreme or xtreme 2 and might do it soon. Anker SoundCore Bluetooth Speaker Portable Bluetooth 4.0 Stereo Speaker with 24-Hour Playtime £23.99 @ AnkerDirect Fulfilled by Amazon. Because Sony paid more for their review. You really shouldn't mention Which on here. Could be good, Anker have won my trust with their customer service as well to be honest. I'd pay a little more at this point to get the equivalent thing from them. Yup, I got one of those instead. New Tribits are reduced to £23 too. They're meant to be good, but haven't heard anyone really mention them on here. Where can I get this for precisely £89? Respectfully, it is currently £89.00 on Amazon UK. Maybe it could be a faulty one ? Spotify has 35mm songs so 65k is less than 0.2%. But you are right 65k equates to a lot of Greatest Hits albums. Did not get the email but code worked for me to. Thanks OP. Worked like magic!